On the historical front, Blizzard shed some additional light on the World of Warcraft Classic Edition that fans felt were ‘owed’ to them after unofficial classic servers were shut down a few years ago. WoW Classic should serve to scratch that itch that many of its fans have for playing the game from a much, much simpler time (while introducing newer players to a world that they haven’t been able to really touch in quite some time). Its summer 2019 launch window was met with some disdain but otherwise players seemed mostly satisfied with what will be offered when it eventually launches as a free service for anyone that already maintains a WoW subscription. Blizzard’s second announcement in this vein was one which was met with a dutiful amount of enthusiasm. Warcraft III: Reforged is a title that was predicted to debut this year, but the specifics as to just how this venerable classic would be remastered finally debuted. As a huge fan of Warcraft III, I’m completely stoked to reply this classic in a new form and a lot of other fans seemed to share my interest. Considering that Warcraft III set the stage for everything that happened in World of Warcraft, I think this release will be a bit more popular than some may predict. Both WoW Classic and Reforged are excellent examples of the rich history that Blizzard gets to enjoy with the gaming giant that it created. I believe that these kind of remasters are appropriate and necessary when desired by the fans as long as they are balanced with an influx of new content. It’s in this area where Blizzard decided to both play it safe and take a chance, and was met with a lukewarm reception on the former and downright rejection with the latter. Sure, Heroes of the Storm, Hearthstone, and Overwatch all got their standard content refreshes, but the fans seemed to be wanting something more, something new. Blizzard hoped to satisfy this itch with its announcement of Diablo: Immortal. On the onset, you’d think this would check all the proverbial boxes. After all, it was a new game in the Diablo series that would tell expand the lore during the time between Diablo II and Diablo III. 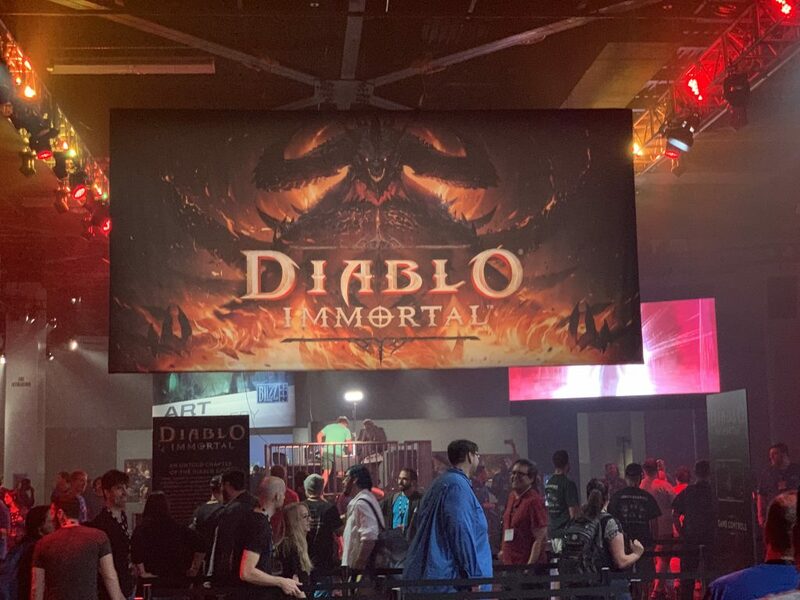 In addition, Immortal would be poised to reach a bigger audience than ever before by launching as a mobile title. The ability to play a full fledged Diablo game anywhere where your phone had reception sounded like a great idea. Unfortunately, the initial reaction by some BlizzCon attendees was decidedly mixed and downright hostile in certain circles. Recalling stereotypes of freemium games and unfair pay-to-win monetization, fans quickly attacked Diablo: Immortal for a variety of different reasons – many of them based on assumption or downright irrationality (being upset with Immortal because that took resources away from Diablo IV? Please.). Blizzard hasn’t even made an announcement or commented on Immortal’s potential monetization and some have already written it off for those yet unannounced details. While experienced mobile aficionados met the news with the usual hopeful excitement reserved for AAA entries onto the platform, others instead decided to resort to trolling and half-baked memes full of half-truths or downright misleading information. As someone that has enjoyed both Blizzard and its fanbase for decades, this kind of reaction to a new game truly disappointed me in more ways than one. 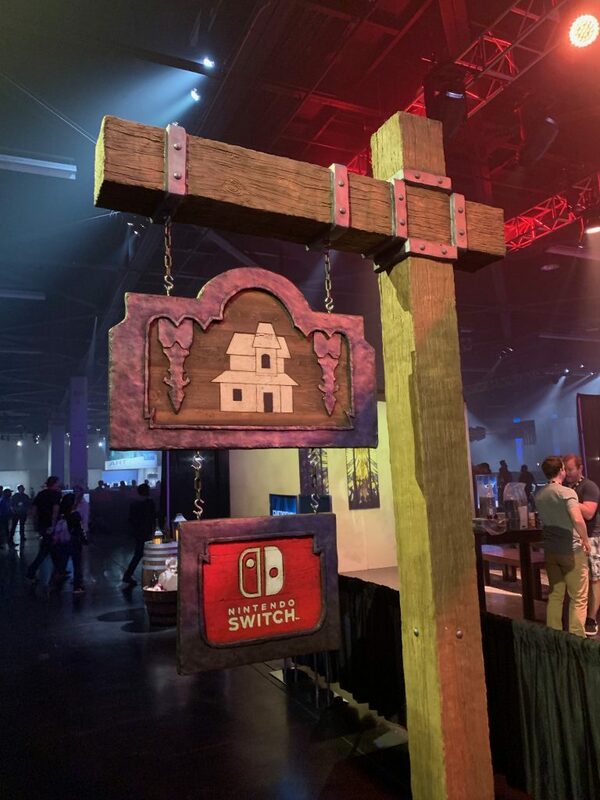 This isn’t the only Diablo related event that took place during BlizzCon, as the Nintendo Switch version of Diablo III debuted on the first day of the event. However, while the Diablo fans seemed to be satisfied with that game being ported to a new console that satisfaction seemed to come solely from the fact that it was a console and not the “evil” mobile machine. This reaction to Blizzard’s newest game seemed to cast a bit of a shadow on the rest of BlizzCon. This truly was a shame, as all the aforementioned community events were as great as ever. 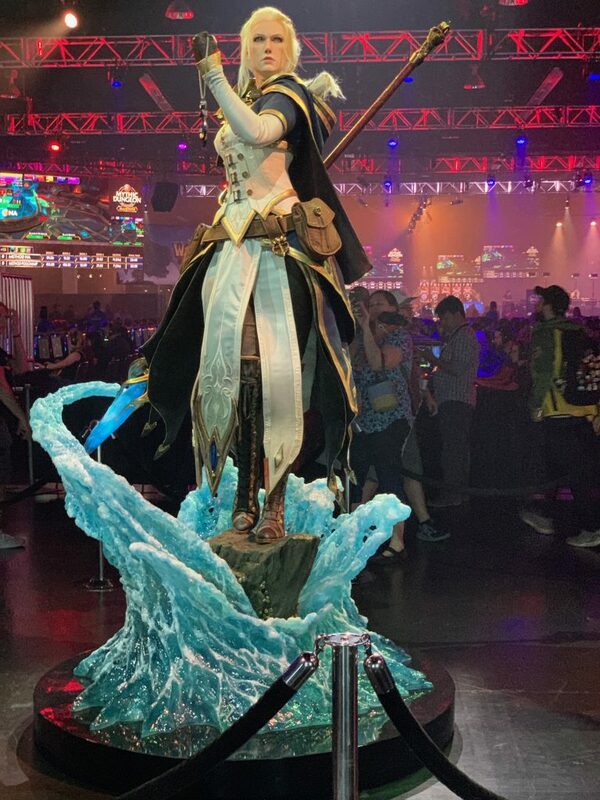 Blizzard eSports remained exciting through the championship games and the panels continued to offer useful and cool behind-the-scenes information on the other Blizzard titles. 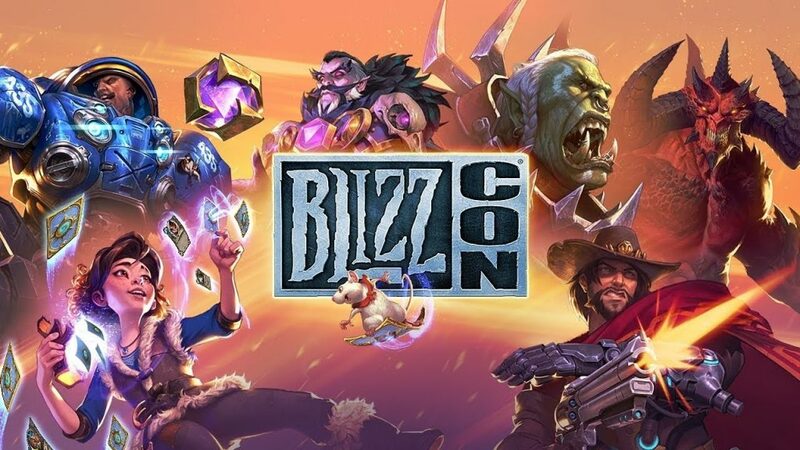 BlizzCon’s core tenets remained intact, but not before taking some blows from some of the fans that once held the event so dear. As someone that enjoys both mobile gaming and Blizzard titles, I’ll probably never understand the sheer hostility displayed by some of the fans towards Diablo: Immortal. Yes, based on what we’ve seen before, there are better and worse ways for a PC company to debut their mobile offerings (and this one probably wasn’t executed as well as it could have been). But, if you’ve at least read TouchArcade for a reasonable amount of time, you’ll know that we understand the business of mobile games including what works, and what doesn’t. Maybe it’s this lack of understanding that led to the utter hate I experienced this BlizzCon. Maybe it’s the fact that some gamers will never want to understand or realize that gaming is a business like any other entertainment venture. Regardless of the reason, the proverbial Pandora’s Box has now been opened. Blizzard’s fans will have to come to grips with the fact that mobile is a legitimate gaming platform and no amount of irrational hate is going to change that fact. Blizzard will have to understand that embracing the future with a still relatively new platform will require a level of patience and teaching that wasn’t necessary before. Only in this way will the company survive and continue to celebrate everything it’s accomplished in the past while ensuring that it will still exist for quite some time in the future.